We are giving away a pair of tickets to Raffi @ Keller Auditorium on June 23. To win, comment on this post why you’d like to attend. Winner will be drawn and emailed Monday, June 10. Raffi’s joyful music, concert videos and Songs to Read books have been staples of children’s lives for decades. Millions know Raffi for his work as a children’s entertainer whose string of gold and platinum-selling recordings in North America includes his classic “Baby Beluga” song with its beloved melody and lyrics. 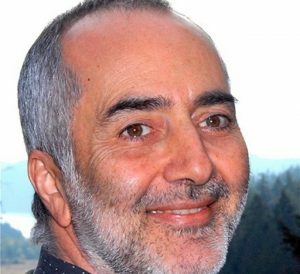 But a very interesting piece of Raffi’s story is not as well known: Raffi’s pioneering commitment to honouring his young fans changed the way we came to view music made for children. Founding his own record label, Troubadour, then folk musician Raffi set out on a path that rescued children’s recordings from bargain bin pricing and sub-par production values. THIS WOULD BE INCREDIBLE! My mom had Raffi on repeat all throughout my childhood — planning to do the same for my own kid. What a thrill…! Raffi is so loved in our family!! It would be incredibly special for my two daughters, husband and I to share in the experience of seeing him live together–putting a human to the music we hold so dearly in our hearts! I grew up with Raffi’s music — I bet he’s incredible live! Would love to win these tickets for me and my son! He loves Raffi and we have been listening to him since my son was born…he will be 2 in May and what a great late birthday present this would be! Would love to take my 3-year-old. I grew up with Raffi songs and have been introducing my son to his songs as well. This would be a great first concert. I grew up listening to Raffi and now my son loves him! I have been a lifelong fan of RaffI. I have shared his music with my son and now my daughter, Raffi has been a part of my family for as long as I can remember. Because it’ll be great to see him and sing some of the classics songs with my daughter. Yes, but we have hands. My granddaughter and Grandma wanna go please! Raffi soundtracked my young life, and now I want him to do the same for my son. I hope we can go! Would absolutely love to treat my kiddo to this! Amelia will enjoy this with grandma! My grandson and I would be thrilled to have a date like this to an engaging musician like Raffi. It would be memorable and help to nurture his love of music. ohhh i would love to bring my daughter to this! I have been singing my 4-month old “Baby Beluga” since she was -4 months old. Would love to attend! My kid would just LOVE This! Sounds like a perfect Mommy and Me Date for my son and I! I’m entering on behalf of my cousin and her daughter! They would go crazy for this! My granddaughter would love this show! I read Raffi’s autobiography and it was epic!!! I would love to bring my two year old to this! Would love to take my nephew and spread the Raffi love to the next generation! My daughter sings The Wheels on the Bus day in and day out. I’m sure that the other parents out there know that there are dozens of high tech CGI Wheels on the Bus videos online – despite that, the grainy video from the Raffi concert circa 1990 still gets all the claps and “YAY”s from my girl. She and I would be thrilled to see him live! I have fond memories of Rafi songs. Time to teach the next generation his fame. I don’t need kids to enjoy Raffi! Wonderful to see a few childrens venues along the line up. I’d love to take mine to this. Please pick me. Our daughter would love this! Thanks for the chance to win! I am a first time Grandma. I would love to take my Granddaughter to Raffi. I played his music all the time when my children were little. What a wonderful opportunity, would love to go!